Rod Abrams Funeral Home Ltd. Evangelos Lialios - Rod Abrams Funeral Home Ltd.
Monday March 18th, 2019 from 2-4 and 6-8pm. Tuesday March 19th, 2019 at 11:00 am. 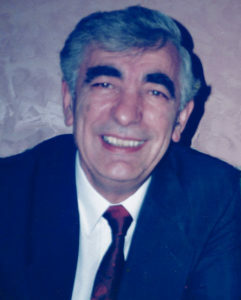 It is with immense sadness and regret that we announce the passing of Evangelos Lialios. Our thoughts are with you all. He will forever be in your hearts. May he Rest In Peace. Our prayers are with your Great Family. Fantastic neighbors you were for us when we lived on the 2nd. Thinking about all the good times we had, we will not forget. May Angelo rest in peace. Bog da go prosti….our deepest condolences – we have many happy memories of sharing family celebrations with you all. May he rest in peace. Deepest condolences on your loss; we hope memories of happy times will comfort you during these dark days. We did not have the honour of knowing Angelo well, but we do know he was special to many people, and deeply loved. Our deepest condolences, I will miss the friendly waves.